Many people with diabetes are hesitant about getting dental implants because they’re under the impression their chances of failure are greater than for non-diabetics. But if you’re one of the 26 million Americans with diabetes, that isn’t necessarily so — with a little extra precaution before, during and after implant surgery. Diabetes is a group of diseases that affect how the body processes glucose. This simple sugar is used by the body to provide energy to cells, but can also cause damage if its volume level in the bloodstream is too high. The body normally regulates this through the hormone insulin produced by the pancreas. The pancreas in people with Type 1 diabetes doesn’t produce insulin and so they must receive an outside source of the hormone through daily injections with careful daily monitoring of glucose levels. Those with Type 2 diabetes, the most common form of the disease, don’t produce a sufficient amount of insulin or the body no longer responds to the insulin produced. For either type, abnormal glucose levels — either too high or too low — can have adverse affects on the body, including blindness, nerve damage, gangrene, coma or death. Diabetes can also slow wound healing, increase the risk of infection, and alter the body’s inflammatory response, all of which are major concerns when placing implants. Because implant placement involves minor surgery in which a wound results, there’s been wide concern that a slower healing process could increase the risk of implant failure. Recent studies, though, are encouraging especially for patients who have their diabetes under control through medication, diet and exercise. Patients with poor glucose control are at higher risk, because it can take longer for the bone to heal around an implant after placement. For such individuals special considerations to guard against infection may be needed during implant surgery. In fact, the implant success rate for most diabetics is about the same as for non-diabetic patients, 95%. 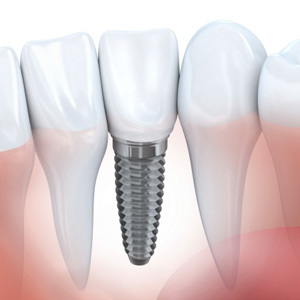 With proper disease management and a little extra wound care, you can be among the many that experience a favorable outcome and a more attractive smile with dental implants. If you would like more information on diabetes and dental care, please contact us or schedule an appointment for a consultation.